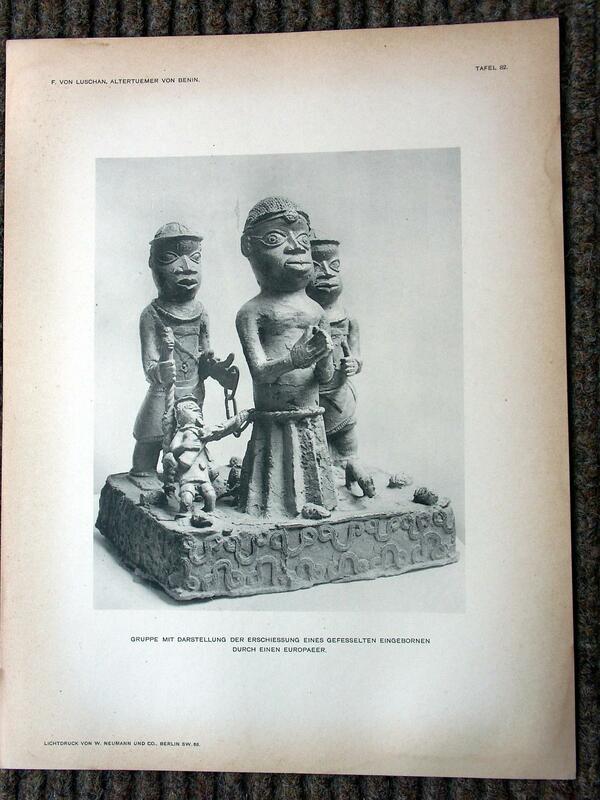 Did Germans Never Hear Directly or Indirectly Nigeria’s Demand for Return of Looted Artefacts? This astonishing and arrogant statement from the Berlin government is singular in its audacity and flies in the face of history and veracity. 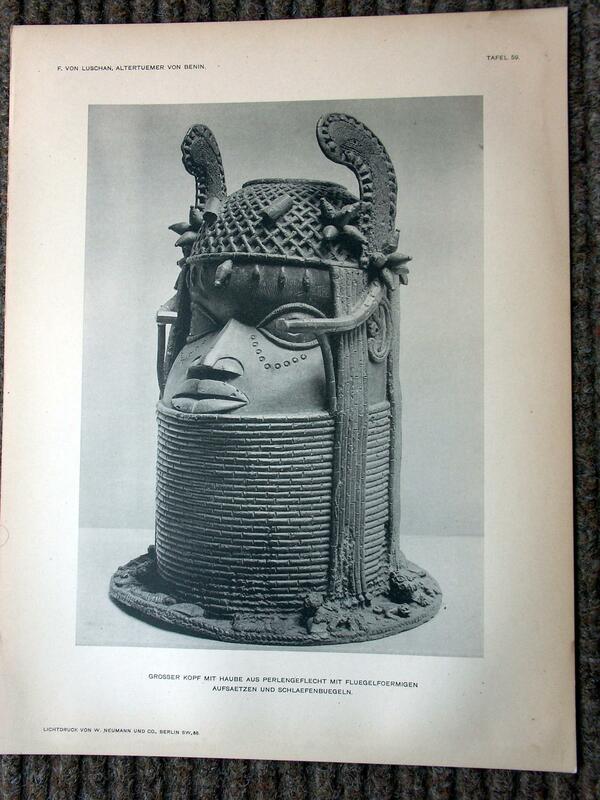 What it tries to do, rather boldly, is to deny all the discussions on the Benin artefacts since the notorious invasion of Benin in 1897 by the British and the demands of the peoples of the former Benin Kingdom under the leadership of the present Oba and the Government of Nigeria. We would not want to recount all the innumerable demands made by both the Oba of Benin and the various Nigerian governments. 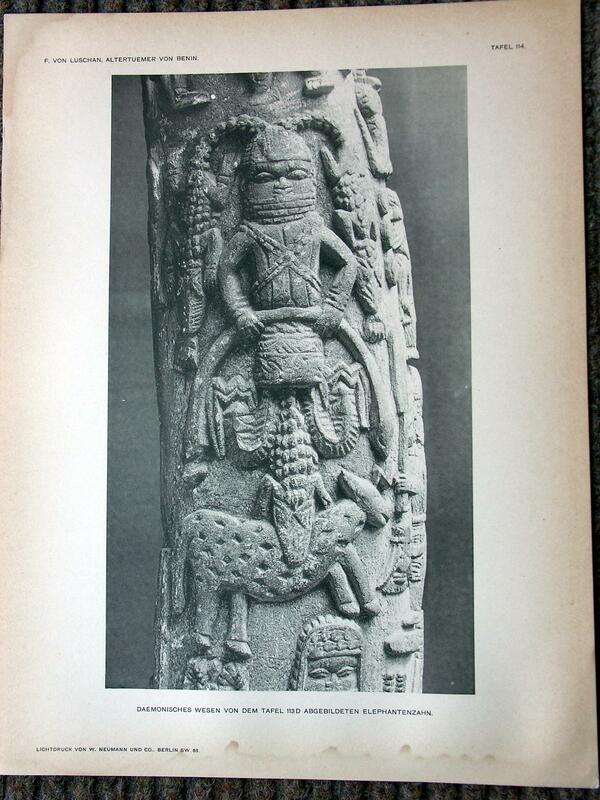 There have been in the last few years many meetings and discussions on the restitution of Benin bronzes in most of which German museum authorities participated, such as the recent meetings in Benin City on 19th and 29th February 2013 which issued the so-called Benin Plan of Action on Restitution. (4) The Ethnology Museum, Berlin and the Museum für Völkerkunde, Dresden, participated in this meeting. Are we to understand that the Berlin Government has not been informed directly or indirectly about such meetings and the demands of the Nigerians? The modest request of the Oba of Benin to have back some of the looted artefacts was promptly rejected in an arrogant and Eurocentric perspective in the preface of the same catalogue by the directors of the museums that organized the exhibition with Nigeria. The Preface was signed by Prof. Christian Feest, Director, Museum für Völkerkunde Wien, Jean-Pierre Mohen, Director, patrimoine et collections, musée du quai Branly, Paris, Dr.Viola Koenig, Director, Ethnologisches Museum, Staatliche Museen zu Berlin and James Cuno, President and Eloise W.Martin Director, The Art Institute of Chicago. 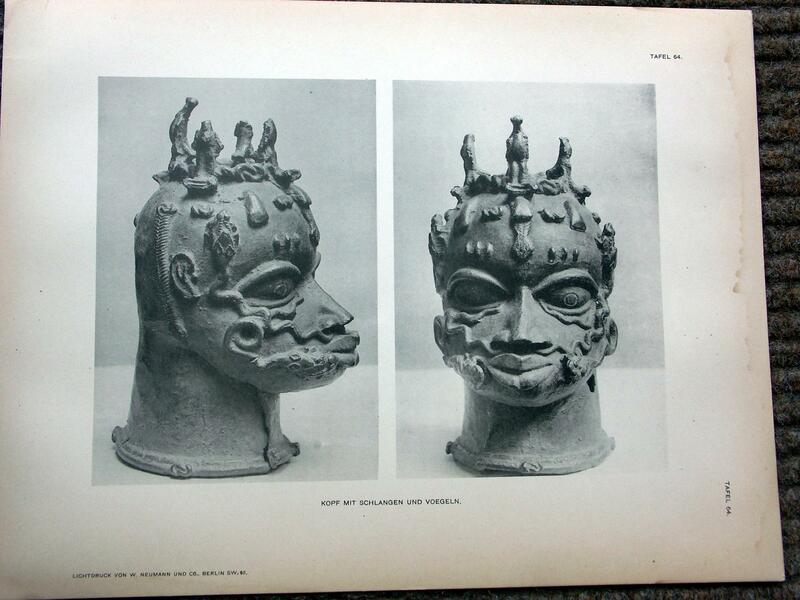 The United Nations General Assembly has since 1972 requested Member States in several resolutions to return cultural objects which were taken away during the colonial days. 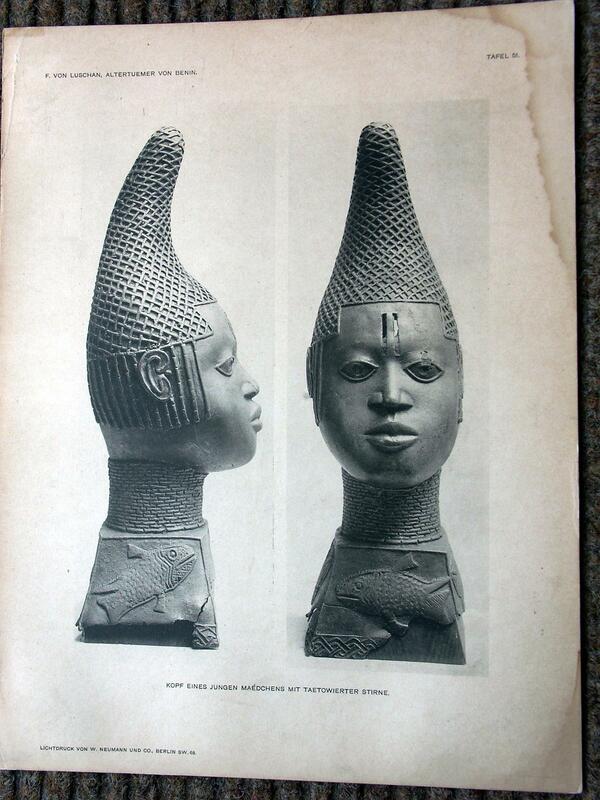 The restitution of cultural objects to the countries of origin has become a permanent agenda item. In its resolution entitled “Return or restitution of cultural property to its country of origin” of 4 December 2006, (A/RES/61/52,) the General Assembly reiterated the importance of restitution to these countries and called on all bodies of the United Nations and UNESCO as well as Member States ‘to continue to address the issue of return or restitution of cultural property to the countries of origin and to provide appropriate support accordingly’. 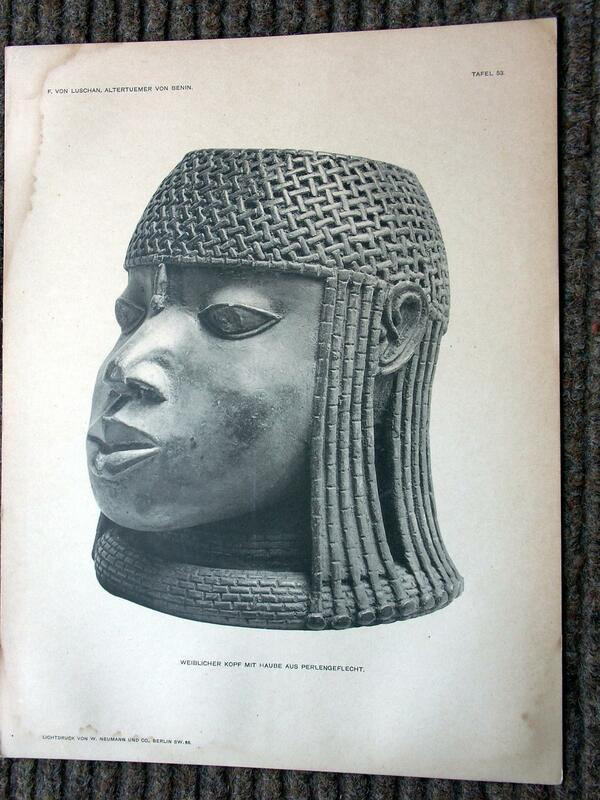 (15) All these resolutions have not moved any of the western countries that hold illegal or stolen cultural objects. should govern the act of acquisition. Many have discussed this issue as if there were no laws in Benin in 1897 that would forbid such patent violation of rights in property. Joseph Egharevba, leading authority on Benin history and laws, states in his classic work, The Benin Laws and Customs (1947) that the person of the Oba is sacred and his property cannot be touched without his consent. He is the source of law and could make and repeal laws. 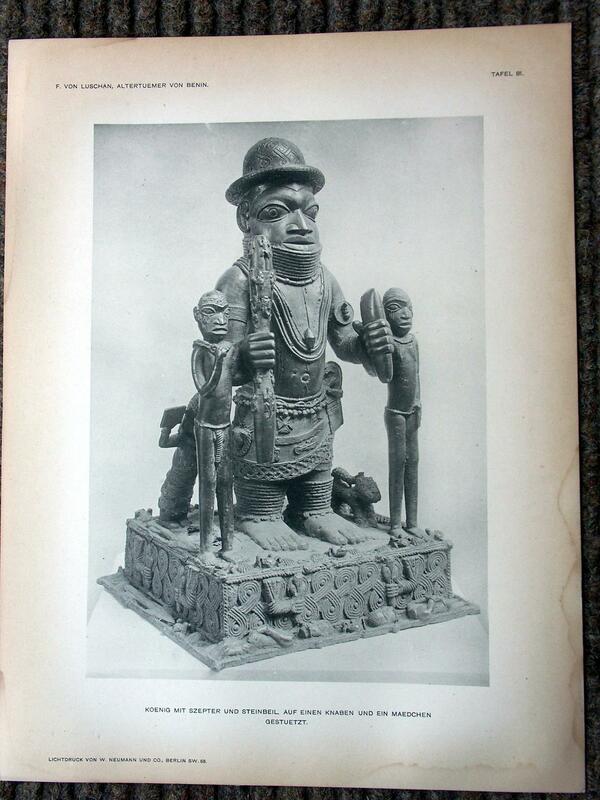 The British of course were not interested in presenting a true picture of Benin society but preferred to depict the kingdom as a land of juju, cannibalism and human sacrifice. But what about others who have discussed this issue? How can they assume implicitly that Benin Law was not relevant, unless they were only concerned with power? But power is not law. 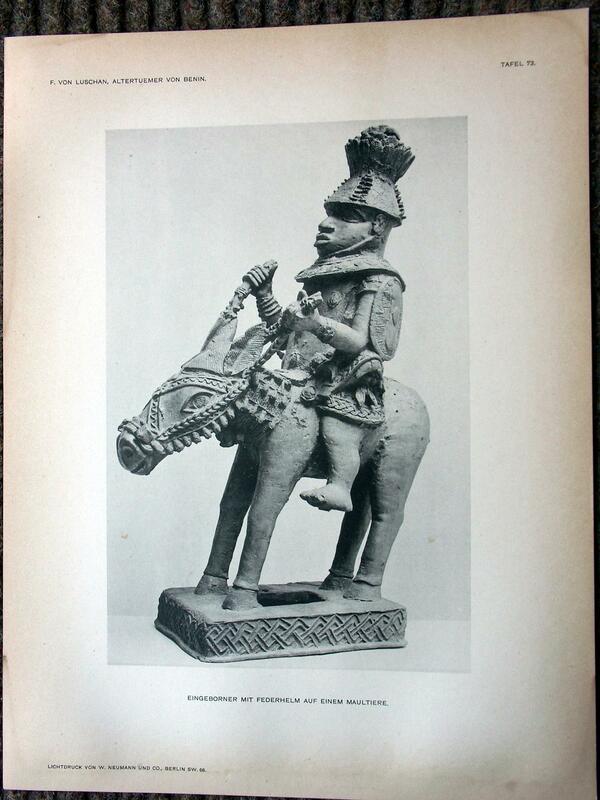 Legality of German purchases of Benin objects presupposes the legality of the British acquisition of the looted objects. 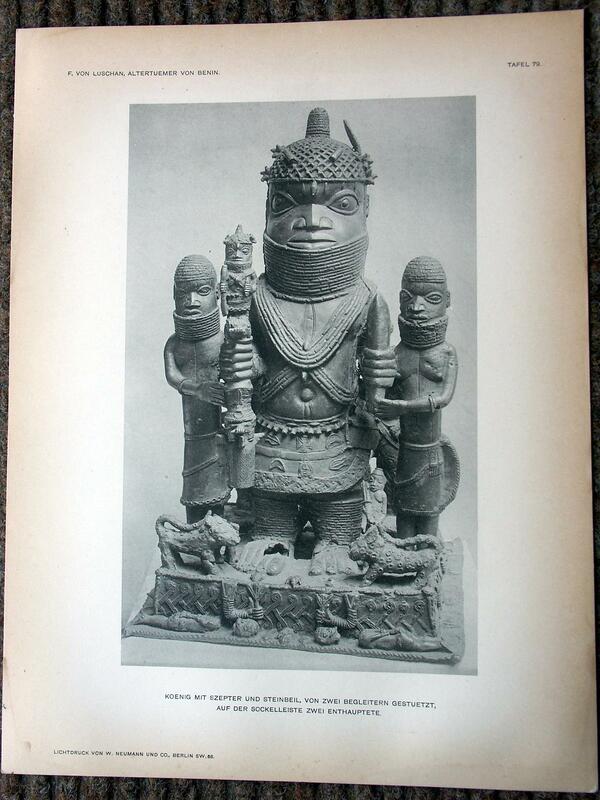 The British looted the artefacts during their notorious invasion of Benin City. Does looting of property of others confer legality on the looter? Clearly, no legal system would accept the transfer of proprietary rights in this violent manner. There may be de facto acceptance of this illegality but does the fact that no one can push the looter to return the looted goods confer legality on the violent looter? 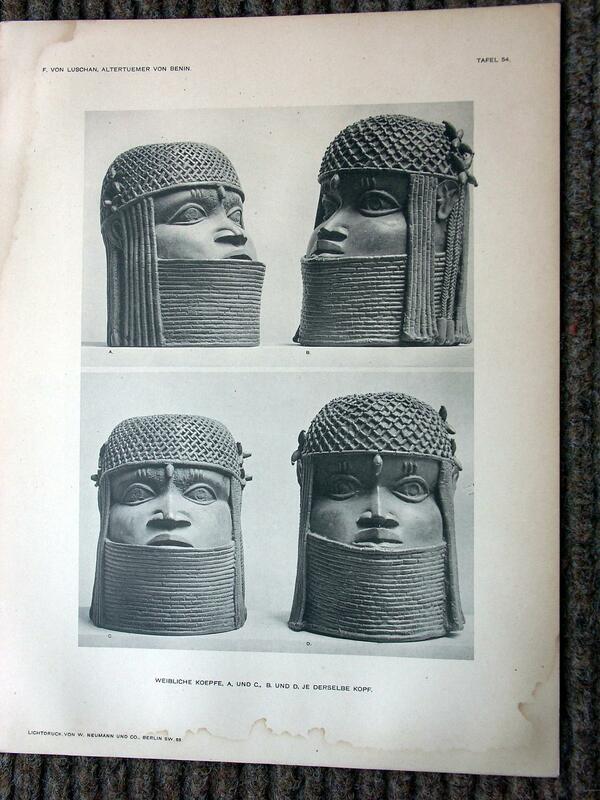 Some have argued that the law in 1897 authorised a conqueror to take all the cultural artefacts of the defeated. But those arguing this way do not specify which law. Is it English Law, European International Law, from which Africans were excluded, or Benin Law? 23. 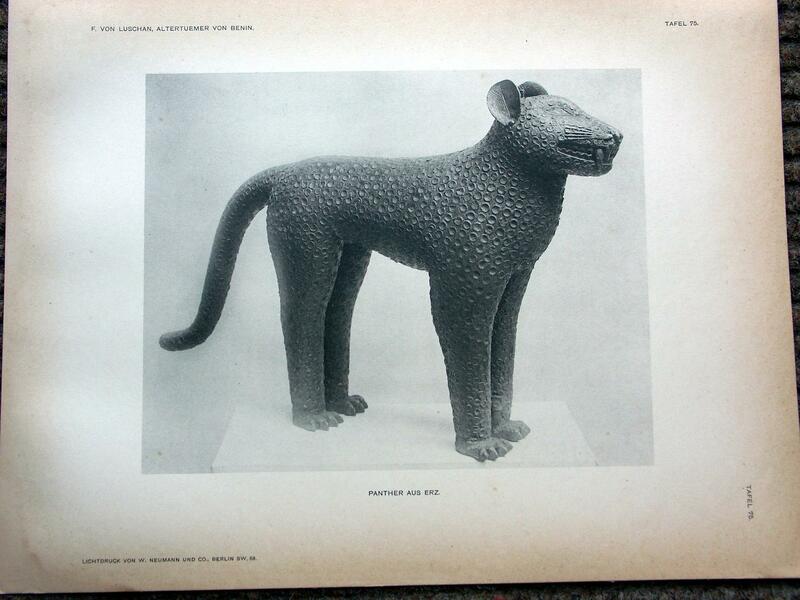 See a portrait of von Luschan in K, Opoku, “Benin to Berlin Ethnologisches Museum” Are Benin Bronzes Made in Berlin?” Annex I.www.modernghana.com. A detailed overview of the available literature can be found at the end of the excellent book, Conrad, Sebastian. German Colonialism: A Short History. Cambridge, UK: Cambridge University Press, 2012 This is an English translation of the German original Deutsche Kolonialgeschichte,Verlag C. H. Beck, Munich, 2008.